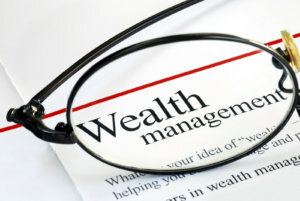 A wealth management corporation, located in Jamaica, has purchased OM Plus print software. This company is one of Jamaica’s premier providers of wealth management services, securities trading/sales, investment advisory services, and corporate solutions. They have recently purchased OM Plus Delivery Manager (DM) print software and My-Print-Delivery (MPD) pull-print software. This helps automate the printing of financial documents and checks. The solution was provided in conjunction with Plus Technologies’ partner, Printech Global Payment Solutions. Printech has a check printing application (Check Plus). Check Plus often benefits from Plus Technologies’ OM Plus software to help with complex printing and print fidelity issues. Printech needed OM Plus to increase control and security over the customer’s check printing operations. The OM Plus based solution allows the customer to manually control check runs from the intuitive UI and maintains a complete audit history of what checks are printed, when they are printed, and who printed them. In addition, accidental duplicate printing of checks that result when printers fail is virtually eliminated as OM Plus manages the devices on a page by page basis. As a result, OM Plus can restart printing a check run on the correct check without double printing. In the future, the customer is considering using My-Print-Delivery (MPD) pull-print software from Plus Technologies to further automate and control the printing of checks. With MPD users release their print jobs from the devices themselves preventing unattended printing from laying in the tray.